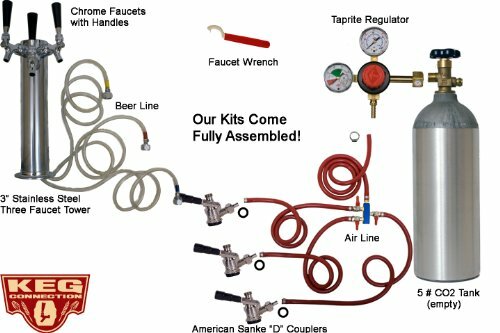 Includes 3 Faucet Stainless Tower with faucets and handles, 5/16″ Red commercial grade air hoses connected to an air manifold, and 3/16″ commercial grade beer lines, Stainless worm clamp, Black Lever American “D” Sanke couplers, 2 Gauge Regulator(built using American made body with high quality components) with check valved shutoffs. Has a deluxe faucet wrench along wit a 15/16″ Bi-Metal Hole Saw with Arbor, perfect for drilling Faucet Shank Holes. Assembled and ready to go! This kit contains very high quality components at a very reasonable price. The CO2 Tank is made of high strength aluminum alloy and is superior to a steel tank because it will not rust. It is stamped with required U.S. Department of Transportation and Transport Canada Markings. 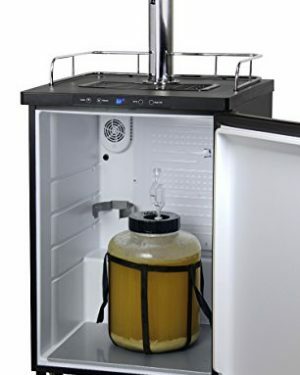 An average fill is good for 5-6 Full Size Kegs depending upon your fill. The pro series single gauge regulator has a chrome plated brass body with a large pressure adjustment knob for easy use, and includes both a manual pressure release valve and a safety relief valve that releases at 45-psi. 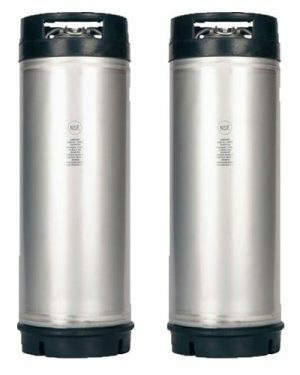 The NSF-approved commercial grade keg coupler features a sturdy nickel-plated forged brass body with a stainless steel probe and a pressure relief valve. 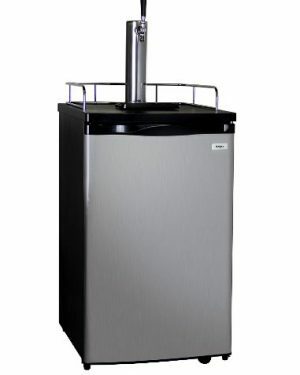 It is designed for use with all domestic brand American D system Sankey kegs. 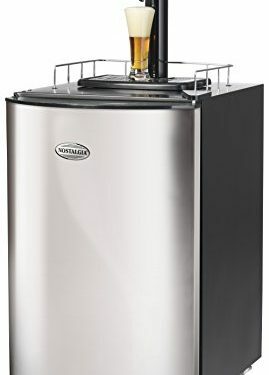 It is easy to use – simply pull out and then down on the lever handle to tap the keg. 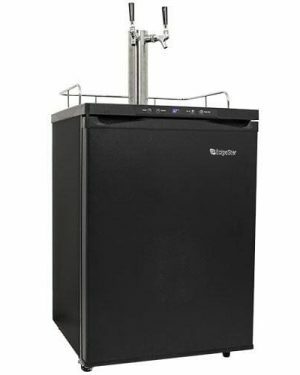 The chrome plated 3″ diameter air-cooled tower is the same tower used on most commercial grade kegerators and includes 5 feet of clear beer line with a nozzle and hex nut assembly.